The Renaissance Bronze Cremation Urn is a solid cast bronze urn, made in the 'lost wax' process. 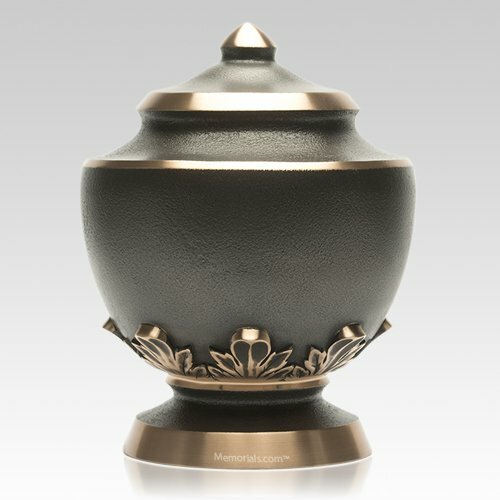 The patina finish on the urn gives it a breathtaking, gun-metal color and the raised portions are buffed and polished to bring out the natural luster of the bronze. This regal vessel will become a truly dignified final resting place.